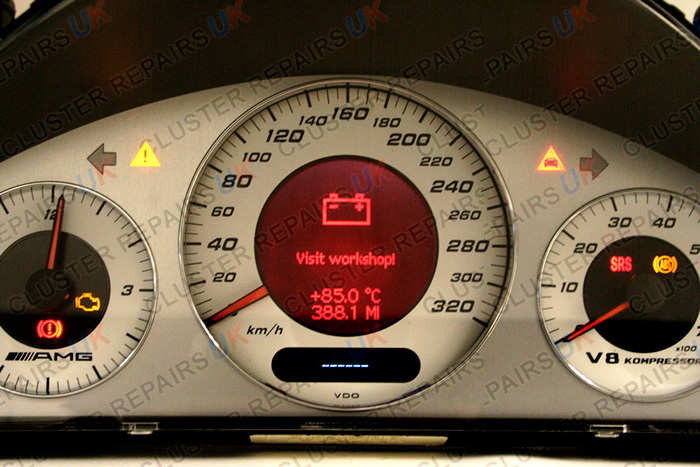 Mercedes instrument cluster LCD pixel repair. 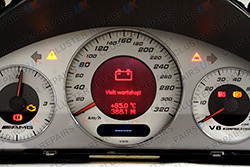 The majority of Mercedes vehicle owners will have come across themselves or heard of the Mercedes instrument cluster LCD breaking up or failing altogether. This defect affects all classes from A, B, C, CLK, E, CLS, G, ML, V, VITO van and years 1994 to the present day. 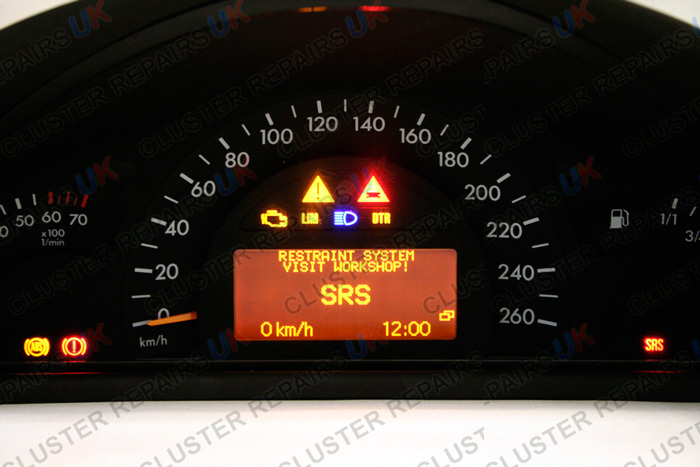 The most common type of malfunction within LCD displays is pixel errors. Over time, individual or whole lines of pixels disappear, leaving the display distorted and unreadable. The loss then can either be permanent or temporary. 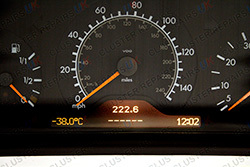 This usually is the case when the instrument cluster hits very high or low temperatures. Single pixels or complete lines of pixels have disappeared. MID, DIS and displays are difficult or impossible to read. Display returns to complete working order once cluster hits high or low temperatures. Main dealer prices start at £350 to £900 + VAT + fitting + coding. 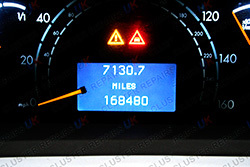 This main dealer charge can easily reach a bill of over £1000. The new replacement unit will also only come with a 12-month warranty and no guarantee that the problem will not return. New instrument cluster prices depend on model of vehicle and age. 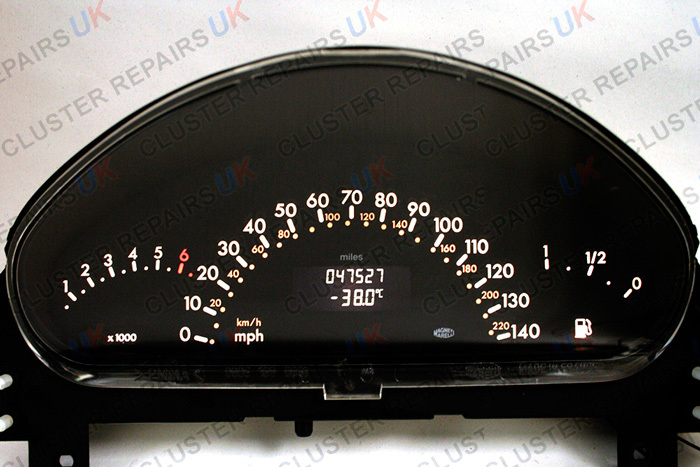 You should never opt into buying a Mercedes secondhand instrument cluster. 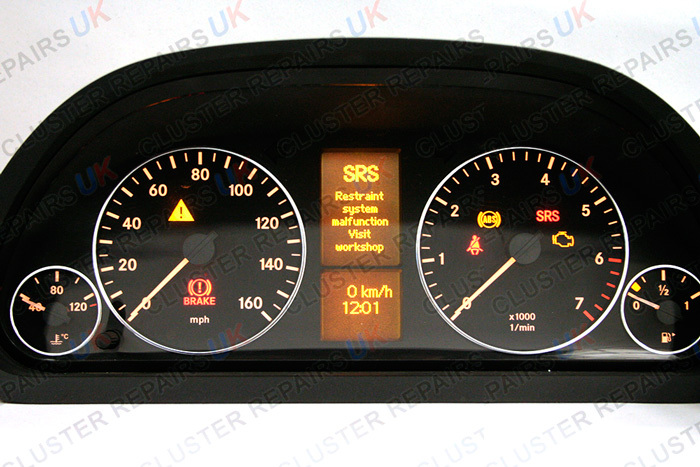 These clusters will need to be coded to your vehicle to work correctly and warranties are short, normally 30 days. This alternative can end up costing more than anticipated and be a waste of time. 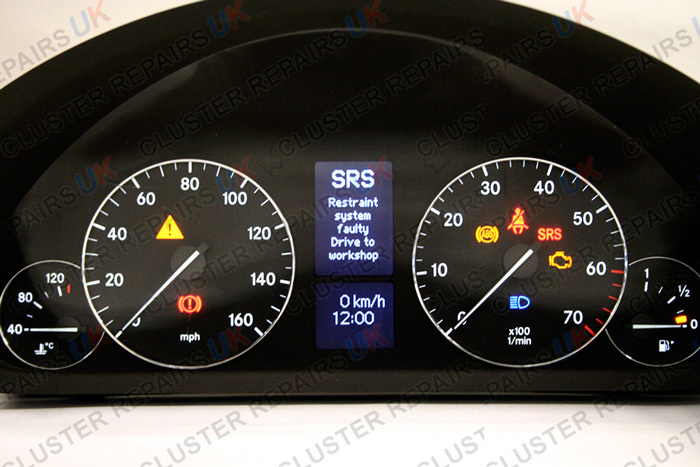 Cluster Repairs UK offer a complete rebuild of all LCD screens on all makes and models of Mercedes instrument clusters at a fraction of the main dealer replacement costs. 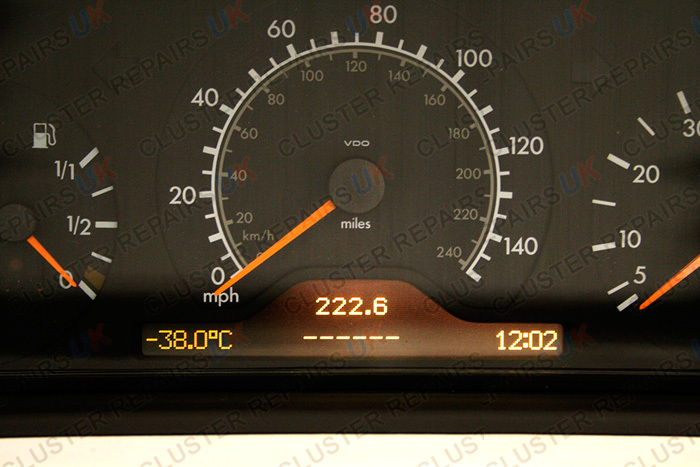 We are one of the only companies in the world who have invested in designing and remanufacturing brand new much higher quality LCD screens and parts in-house to solve the pixel defect. All repairs carry a warranty from 2 to 5 years and are designed to last the life of the vehicle. 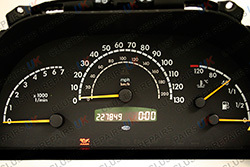 Our repair prices start at as little as £80 plus return carriage. Can’t stay off the road??? 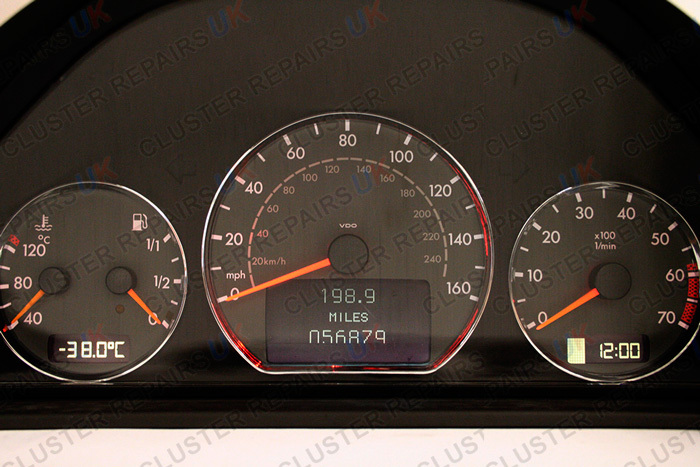 Cluster repairs UK also offer loan instrument cluster service to keep you on the road whilst you have your instrument cluster repaired. All removal instructions and special instrument cluster removal tools are also available. Once your unit has been fully repaired and returned by us it will not need any programming or coding back to the vehicle. All repairs are retuned on a just plug in and play basis. 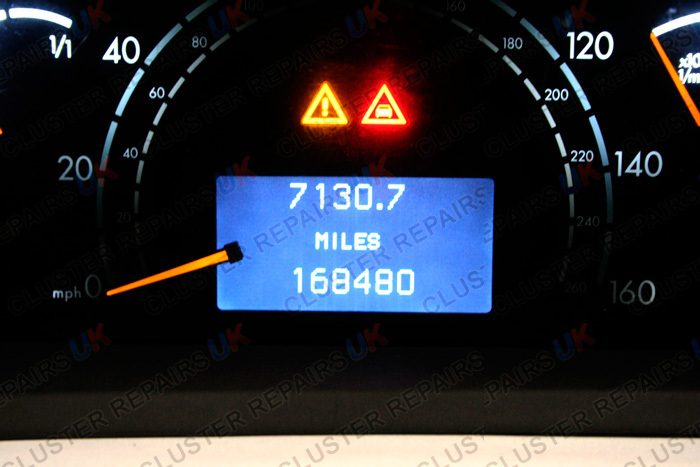 Please give one of our friendly staff a call to discuss the exact issues with your instrument cluster. Once your unit has been booked in please do not forget to complete an order acceptance to send in with your repair.